Organic Apparel USA LLC is now one of the most reliable and demanded manufacturers in world wide. However, this achievement has been gained by facing a lot of difficulties which are later internalized as experience. The founder of the company and through him all the employees in the company devoted themselves to one aim; to get the purest and the most organic apparel. As you can imagine, 15 years ago, underlying the issue of organic clothing was a long-sightedness approach. The organic apparel industry was just an embryo waiting to come to life and Organic Apparel USA saw the potential of that embryo and work on it before it came to life. This foreseen about manufacturing organic apparel products forced Organic Apparel USA to study on this organic vesture issue in a very detailed way. At those times studying organic apparel was not an easy thing because organic production of apparel was not a well-known popular issue and the sources were limited. With the ongoing process of study and exploration, Organic Apparel USA was established with full knowledge about organic apparel before it was known by other apparel companies. This huge amount of knowledge about organic apparel makes Organic Apparel USA, one of the wisest and experienced manufacturers with its worldwide manufacturing facilities and more than 300 employees across European Continent. “Manufacturing impeccable products with competitive prices, excellent service and quick information flow”. The mission and the vision of company are born from and all the certificates and awards are won through the well application of this thought in all steps of manufacturing. And the results of application of this principle for many years has been show itself as an answer to our question, which is is the importance of organic clothing. Manufacturing organic clothing offers every form of life a free zone to breathe the nature instead of exposing more and more chemical infusion. You may be known that, according to USA Department of Agriculture, over fifty million pounds of pesticides are used annually on cotton-producing fields? Do you able to imagine what injury that will cause to soil and what pollution is further to our watersheds? Sadly, we have to accept that standard cotton farming and conventionally manufactured apparel products are chemical dependent. Organic farming, on the opposite hand, uses composting that replaces harmful fertilizers, at the side of lure crops, targeted flame devices, and careful management of pests victimization predatory insects. Following organic apparel made up of cotton, soy, bamboo or hemp, is freed from Cl and aldehyde, have started to be preferred as other sources for apparel while not using harmful chemical bleaches or dyes. * Un-processed agricultural merchandise, like raw cotton. * Processed agricultural merchandise to be used as food. And here, we have a vital purpose. All the textile producing processes of many apparel and textile manufacturers (from setting out to all nobilitation stages) don’t seem to be coated by the EU Regulation. In different words, we have a normative gap in controlling the organic level of textile products. Talking regarding regulation, we have to recollect that even different Regions or States outside Europe have introduced a selected legislation on organic agriculture. This can be the case of, for instance, the National Organic Program (better referred to as NOP) operative within the USA, the Indian Program for Organic Production valid all told India, or the JAS law in Japan. The second vital norm is related with the above mentioned problem that GOTs overcoming the prevailing normative gap, introduces environmental and social criteria that apply to all or any textile merchandise. So, an organic textile product perhaps outlined as a product created with natural fibers that are organically mature in line with the EU Regulation 834/2007 or (NOP), and manufactured in compliance with GOTS. We have indicated the importance of organic certification but how will a textile product become certified organic? -Made with 100% organic materials, created with no but 70% of certified organic natural fibers. The 30% perhaps all composed of typical natural fibers totally different from the one certified as organic, or could contains up to 10% of artificial fibers and up to 20% of alternative typical natural fibers. The certified organization should guarantee the systematic application of a correct operative procedure for the correct identification and traceability of all organic raw materials, organic semi finished merchandise and organic finished merchandise. All certified textile products might not contain or release any harmful substance like serious metal or any substance suspected to be cancer. In organic textile producing, the method got to be adopted technologies and environmental management techniques that enhance a discount within the use of chemicals, water and energy. Organic textiles production conjointly implies that there needs to be a full respect of the rights of employees of apparel and textile manufacturers. 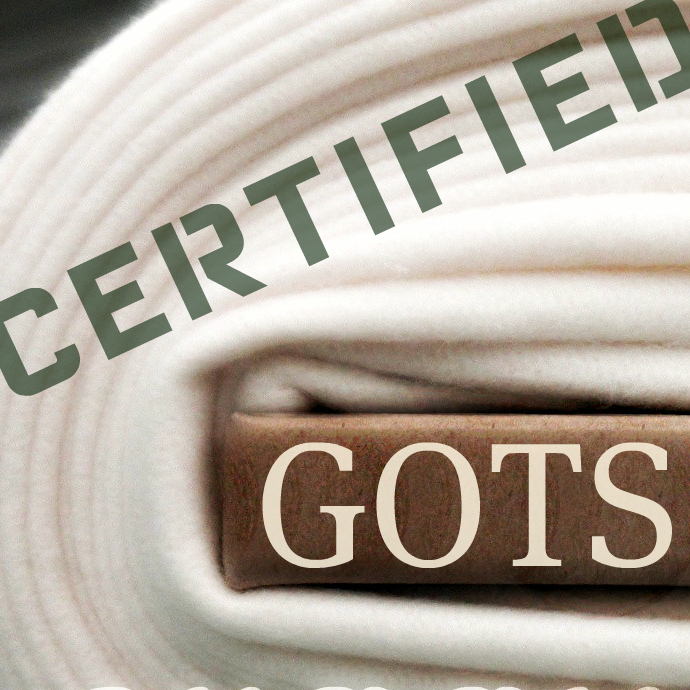 Since now, we have discussed the importance of organic manufacturing, the significance of organic cotton, GOTS certification system and the features of certified organic apparel product. However, the qualifications of organic apparel manufacturing are not limited to those above mentioned. There are many additional advantages of organic textile existed, such as environmental management. The organic manufacturers must have an environmental policy and this policy must include a policy statement depending on processing stages of apparel products. The environmental policy of manufacturer should include; procedures to minimize and also monitor waste and discharges, the procedures to follow in case of waste and pollution accidents, program for improvement, documentation of personal training regarding conservation of water and energy. As you can see, being an organic apparel and textile manufacturer is a difficult thing with all of these complicated production processes and being careful about the manufacturer you are about to work with your organic or custom clothing line is nearly a must. Added to expertise in manufacturing organic clothing, Organic Apparel USA is also one of the well known private label clothing manufacturers. 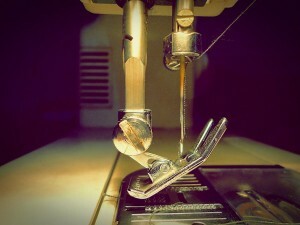 Manufacturing what client desire in custom clothing is not an easy thing to accomplish. However, after long years of expertise in manufacturing industry, Organic Apparel USA is now a qualified custom clothing manufacturer that has specialized in custom technical/functional personal label attire. Thus, Organic Apparel USA has a tendency to work with major labels round the world to provide clothes created to their specifications because our experience lies in providing top quality customized services as per wants. We tend to be careful about close coordination to supply purchasers with a good sourcing platform to recover their broad needs completely for different types of products and at different pricings. Even the littlest details are given attention to confirm that our clients receive the most effective product to be offered. Custom clothing manufacturing is one amongst the foremost helpful and successful services that we offer and our clients get their ideas created and notice the exquisite look they require in their private label clothing lines. Moreover, Organic Apparel USA offers its clients a perfect delivery for their orders. Delivery step is vital for to evaluate any producer in any sector and Organic Apparel USA is felt away from its competitors with its perfectly organized delivery discipline. During the preparation of customer order delivery step, each single apparel product is carefully ironed and well wrapped in order to be ready to find their place in stores when it is unpackaged. If you are not sure about what to do after you are interested in Organic Apparel USA’s approach, quality and services, contact us. Or, you may also want to check Organic Apparel USA Custom Manufacturing Booklet to grasp the quote process in detailed but simple steps. As Organic Apparel USA, we are proud of ourselves and for continuity of this proud we have been trying to do our best for every life. We see our clients as our partners and also unique human beings and we care for them as we care for life. Thus, you can have confidence in this sincere care. 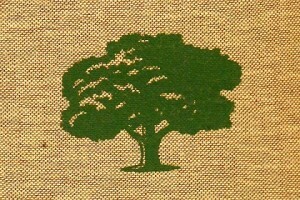 *To get the whole picture and idea about Organic Apparel USA, please visit Mission, Vision and Difference pages.